One Christmas, many years ago, when I was volunteering for Camp Trillium, the coordinator made small cookies for all of the volunteers. 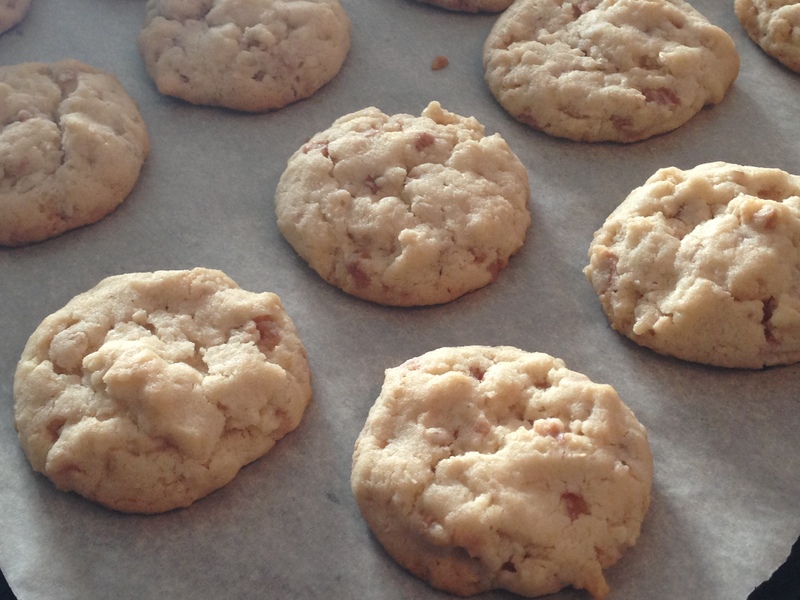 I have to admit, being the pickiest cookie eater you may ever meet, I almost didn’t try one. They looked like ugly, over baked, firm mounds. I usually prefer thin, chewy cookies. Luckily, I talked myself out of my cookie snobbishness and tried one. They were absolutely addictive! After eating the entire bag within a few minutes, I emailed the coordinator and begged her to share the recipe with me. She said they were called ‘100 good cookies’. I never forgot them, but I didn’t make them until now. These cookies have a bit of everything in them: oats, coconut, Rice Krispies cereal, and toffee bits. But the flavours are so well balanced, that you almost can’t tell what’s in them. The texture is just as varied: crispy, light, and crumbly with chewy specks. Finally, this recipe actually makes 100 cookies, so it’s perfect for bake sales, large parties, pot lucks, cookie exchanges, and holiday gifts. You also have the option of freezing them. I hated gingerbread until two years ago, when my friend Allan made delicious chewy gingerbread cookies for his naughty cookie decorating party (see the photos of our x-rated cookies here). Last year, I fell even harder for gingerbread when I discovered this recipe for wonderfully crisp and crunchy gingerbread cookies. They were addictive! I made more batches of mini gingerbread men than I could count and turned some of them into decorations for my family’s Christmas tree (see below for how to make gingerbread ornaments and garland). They made the tree smell delicious. 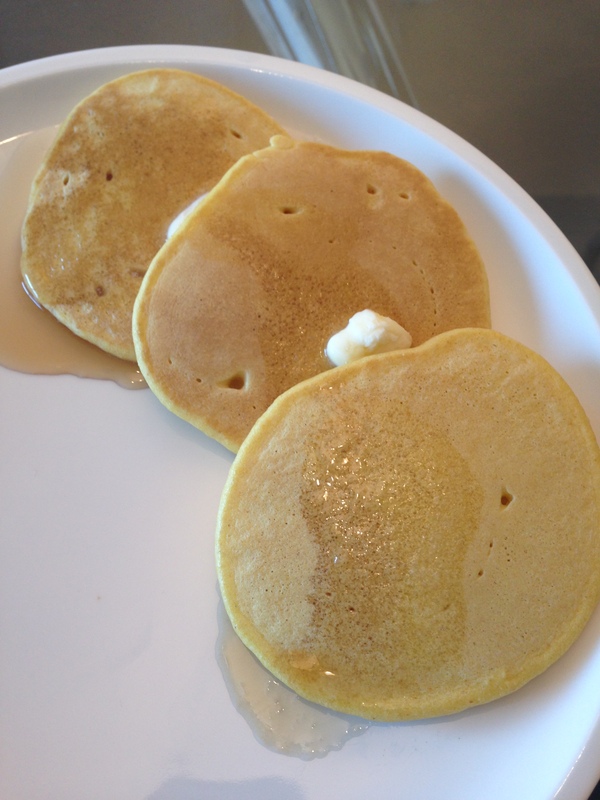 Thank you to the White family for sharing this recipe with me. 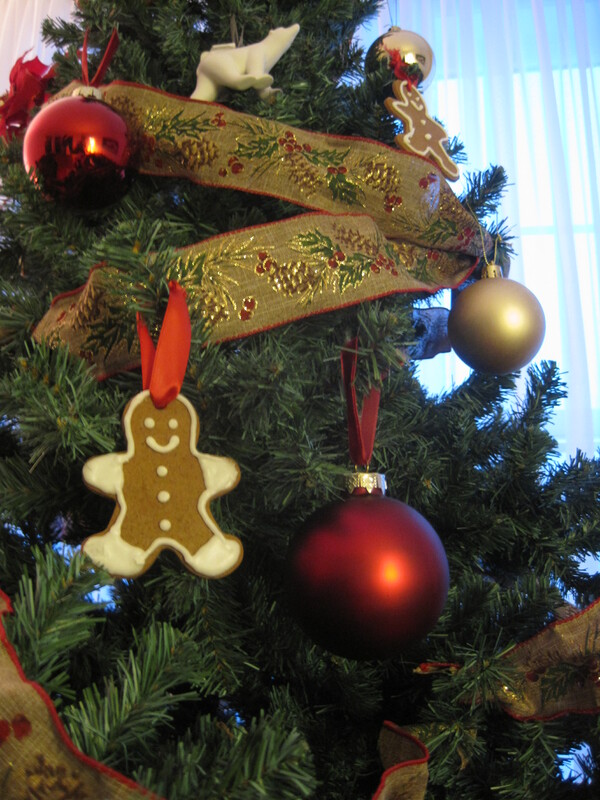 For an even better gingerbread idea, see not martha’s gingerbread mug decorations here. They are mini gingerbread houses that perch on the edge of mugs!!! I can’t wait to make these next year! WARNING: The following material contains photos of sexual nature that are intended for mature audiences only. Reader and viewer discretion is advised. This peanut butter frosting recipe makes a lot of frosting. Luckily, the leftovers can be frozen. I first used it to make peanut butter and chocolate cupcakes. In fact, I’ve made these cupcakes and mini cupcakes for several different events, now. They were all very well received (recipe below). 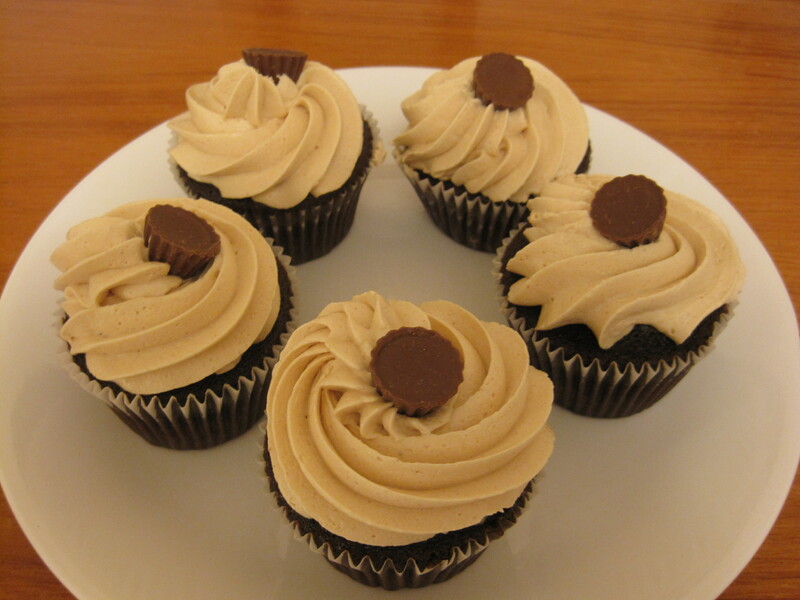 Recently, I was in a very popular cupcake bakery downtown Toronto, ON, and I noticed that their chocolate peanut butter cupcakes were decorated the exact same way that mine were! That was a nice reminder to share this recipe. Don’t forget to warn people that these contain nuts, in case of food allergies. I’d also like to share three other uses for the leftovers of this delicious frosting. For a Canada Day BBQ, I used the peanut butter frosting as the filling for oatmeal cookie sandwiches. They were very popular. Then, for John’s housewarming party, I served the peanut butter frosting on graham crackers topped with fresh banana slices and drizzles of homemade dark chocolate sauce. I’ve also heard that frozen graham cracker and frosting sandwiches are delicious too. I’ll have to try that next time. I’d love to hear what you do with your leftover frosting! 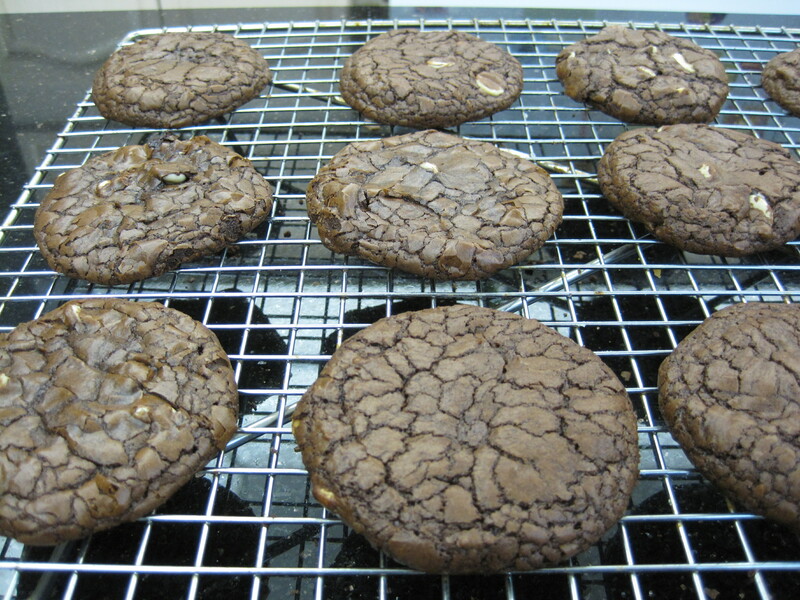 I’ve made these brownie cookies a few times, now, and they are always a big hit. They are chocolatey, rich, and dense. I love that they resemble brownies that come in a cookie form. 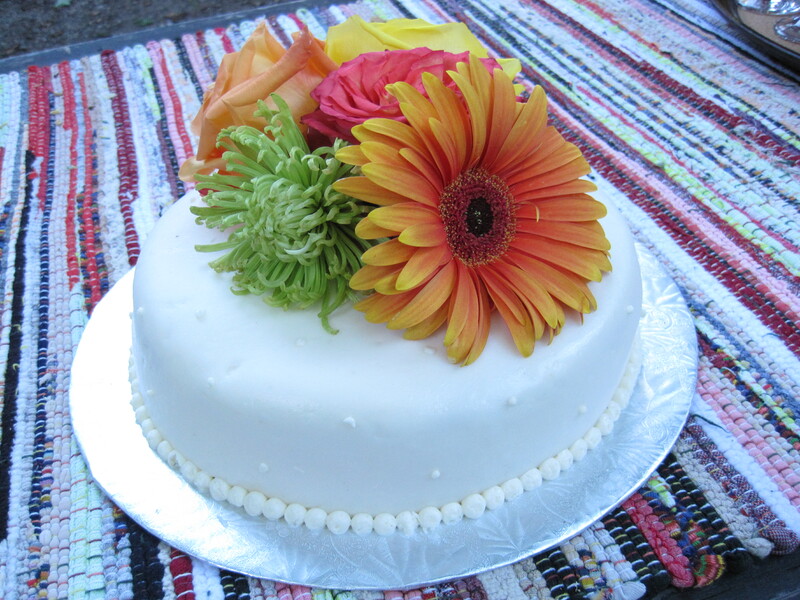 Fondant is used for decorating cakes (especially wedding cakes), cupcakes, and fancy cookies. It creates a beautiful and smooth covering that makes your homemade desserts look professionally made. Fondant is actually quite easy to work with, but store bought fondant is expensive and, in my opinion, doesn’t taste good. Homemade marshmallow fondant, however, is easy to make, is much more affordable, and tastes good. Thanks to the step-by-step photo instructions from this website, I was able to make my first wedding cake. Malted milk powder is probably most commonly known as being an ingredient in malts (malted milk shakes) and in the chocolates, Maltesers or Whoppers. It can also be used in homemade pancakes, waffles, ice cream or gelato, hot chocolate, cake, and cookies, etc. In our home, we grew up with the malted milk drink, Horlicks. As an infrequent treat before bed time, my dad would make it for us with boiling water or hot milk and sugar. Once in a blue moon, he would randomly call out, “Who wants Horlicks?”, and we would all yell, very excitedly, “I do! I do!”. You see, we lived in, for the most part, a junk food and sugar free home. To this day, I still get a little bit excited every time I decide that I deserve a hot cup of Horlicks, but it never tastes as good as when my dad makes it. 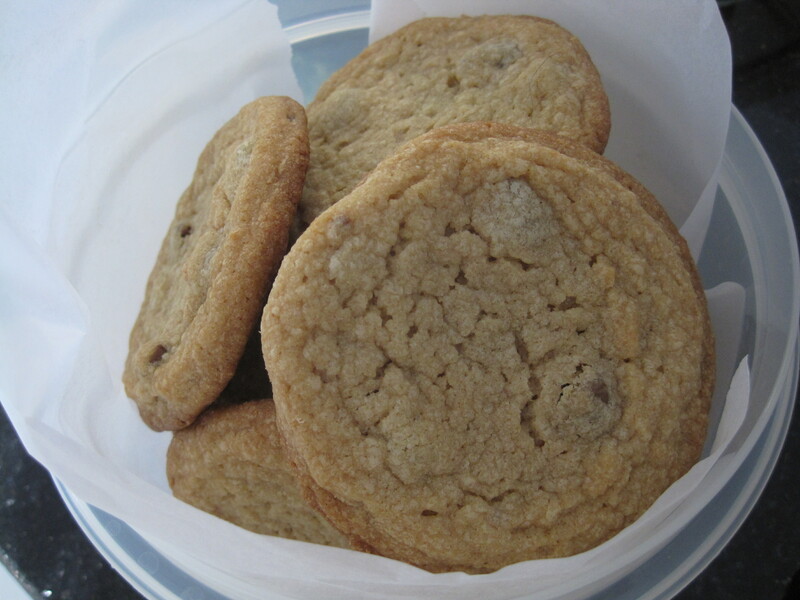 I associate malt drinks with comfort and I’m loving experimenting with malted milk in baked goods. This is Cooking with Alison’s 300th post! 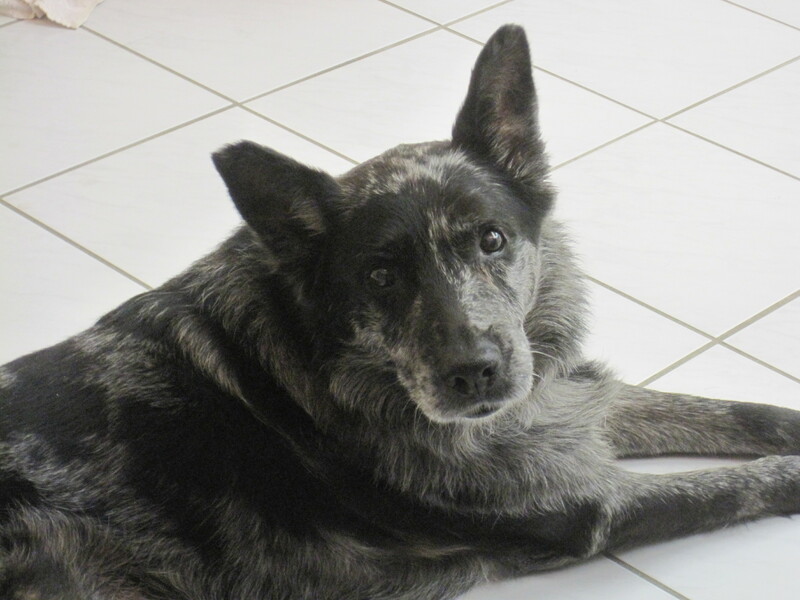 I am dedicating it to my dog, the old man Blue. You’re the love of my life. May you be with us for the 400th, 500th, 600th… posts too. 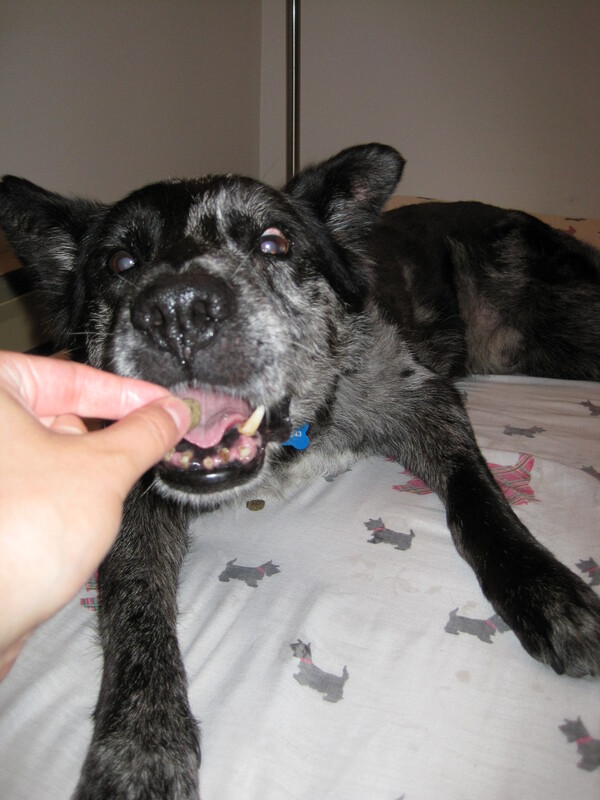 Wheat and corn are common fillers used in most commercial dog food and treats. Not only do dogs have difficulty digesting gluten and corn, these ingredients have been linked to various allergies and health problems. Luckily, it is incredibly easy and cost-effective to make your own healthy, human-grade treats. All of the following treat recipes are gluten free, corn free and soy free, and can be conveniently stored in the freezer. 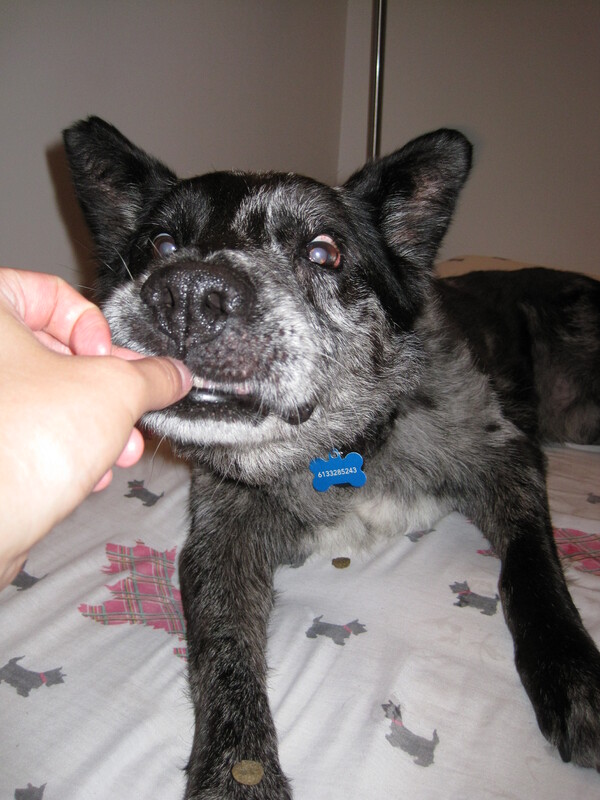 Please share your homemade dog treat recipes by posting a comment! Please note that if your dog has, or is predisposed to, any health concerns, you should consult a veterinarian before trying anything new. 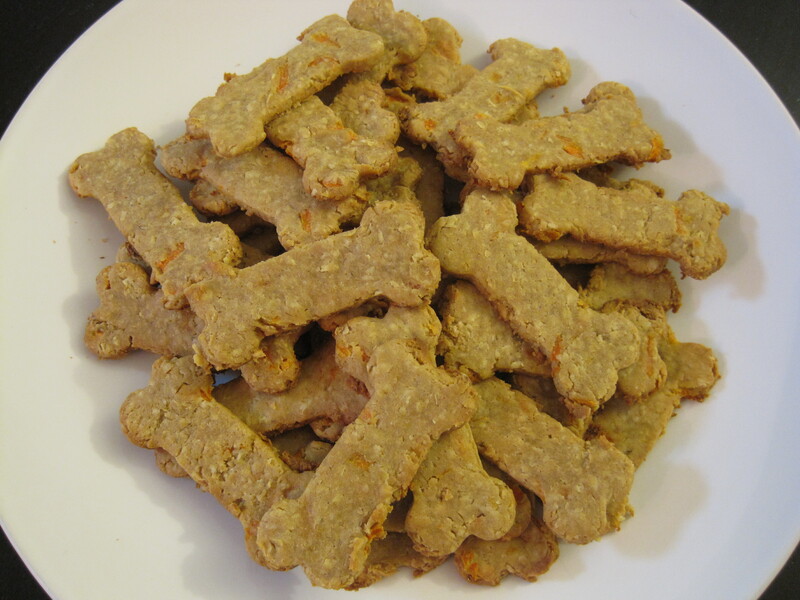 Photo above: Homemade peanut butter, bacon, and carrot dog biscuits. Recipe below. 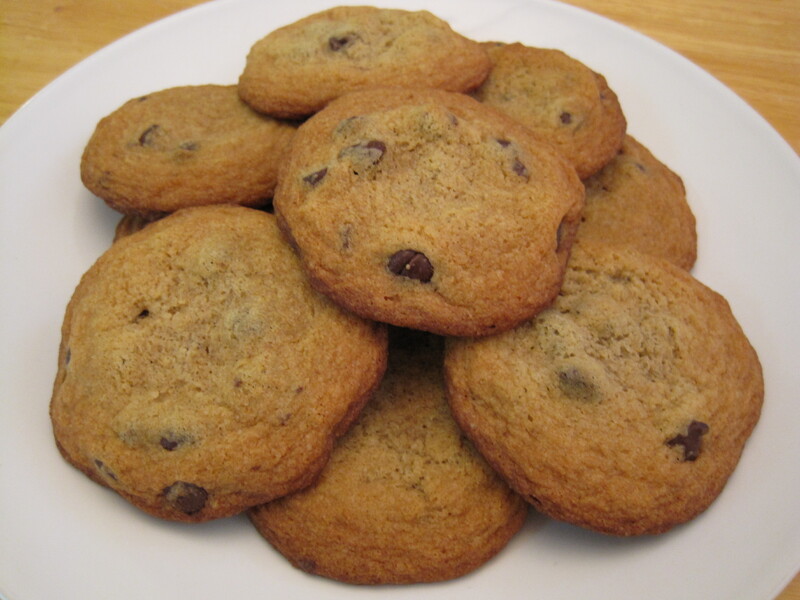 I love the texture of these cookies; they’re soft and chewy without being heavy or dense. 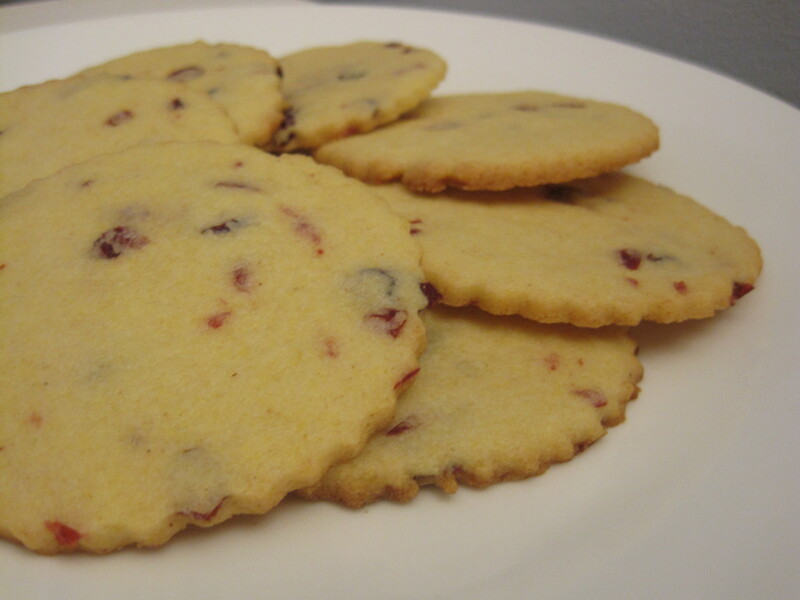 They’re the perfect spring or summer cookie; bring them to a picnic, tea party, bbq, or the beach. I have posted 2 versions of this cookie. The first one is plain with the option to add a hint of lemon. 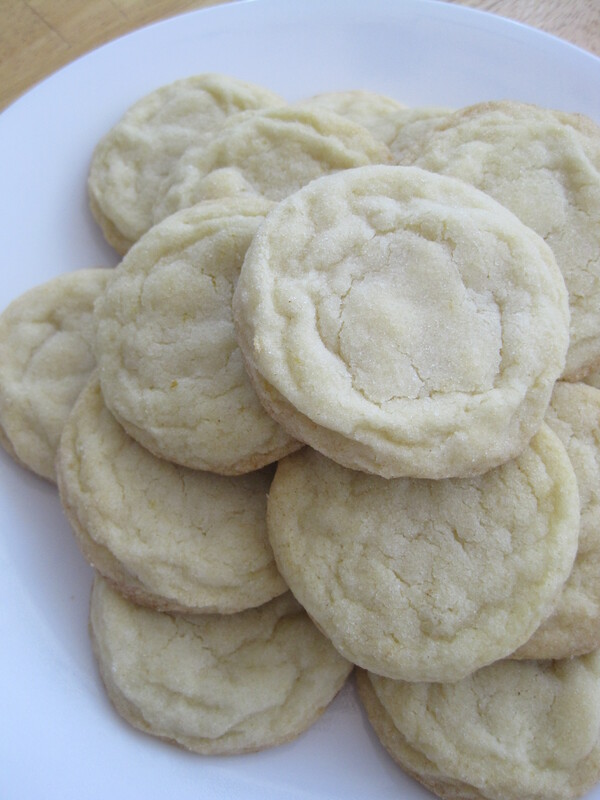 This simple sugar cookie is perfect for when you need something in a pinch, because you [probably] already have all of the ingredients on hand. 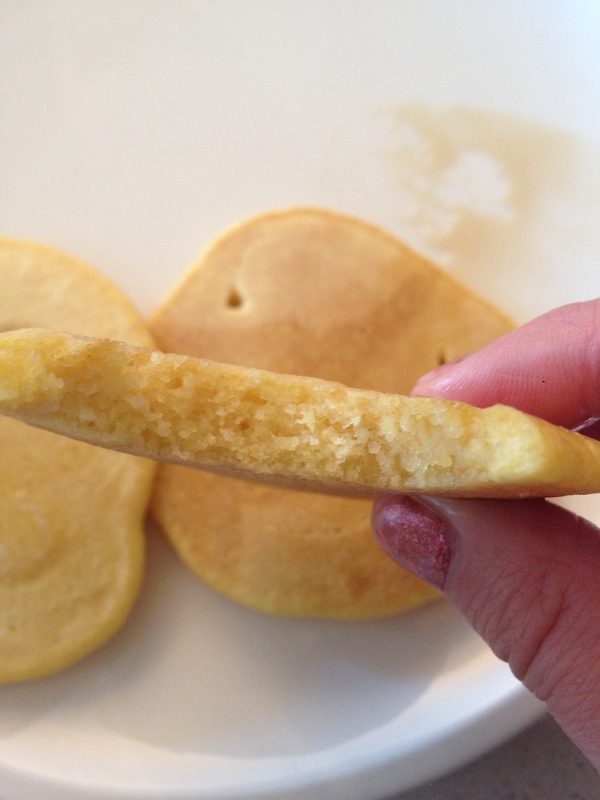 The second variation (my preference) is a lime and coconut sugar cookie that has a lovely subtle flavour. Try experimenting with other combinations like orange and cardamom! 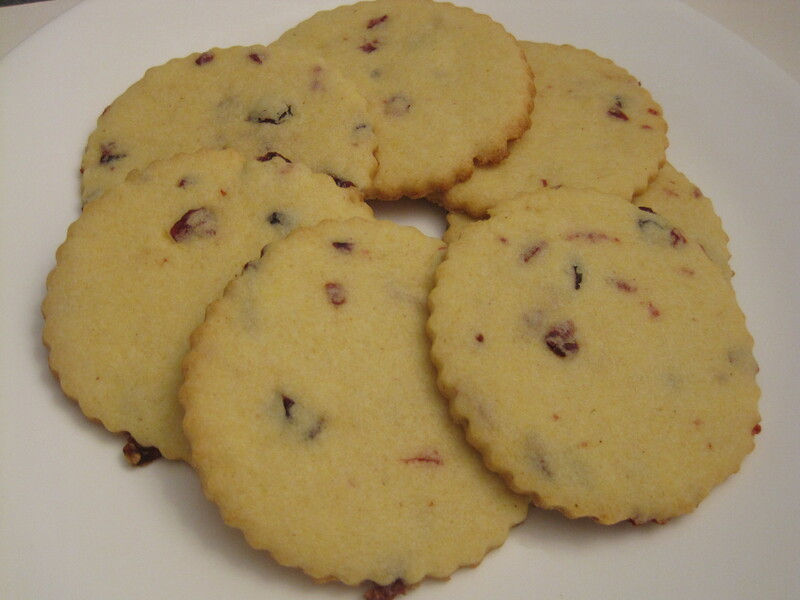 These cookies are delicate, light, and beautiful. The cornmeal lends a wonderful crisp and crunchy texture. I like to think that using a bit of cornmeal makes them healthier too. 😉 If you use craisins (see photos below), these would be perfect for the holidays (ie. for entertaining, gifts, cookie exchanges). I love these cookies and everyone that tried them loved them too.